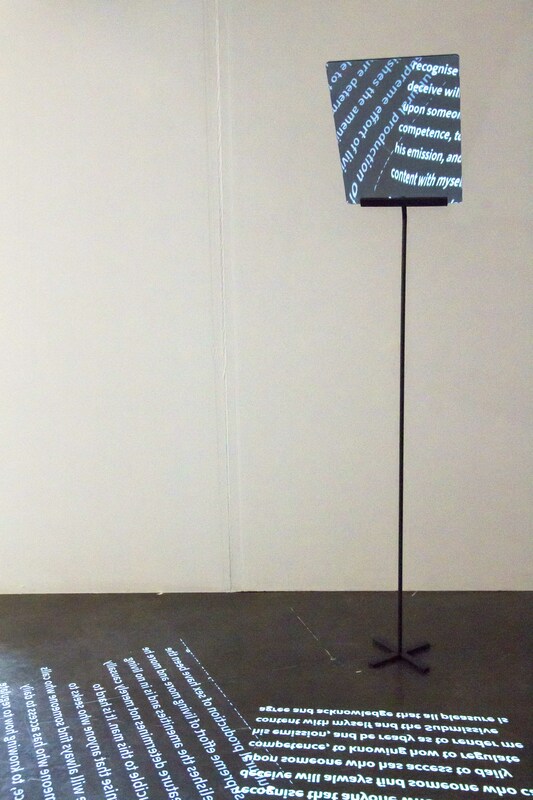 “Generate Lipsum Corpus” is an exploration of the mediation of language by technology, and as a form of technology itself. 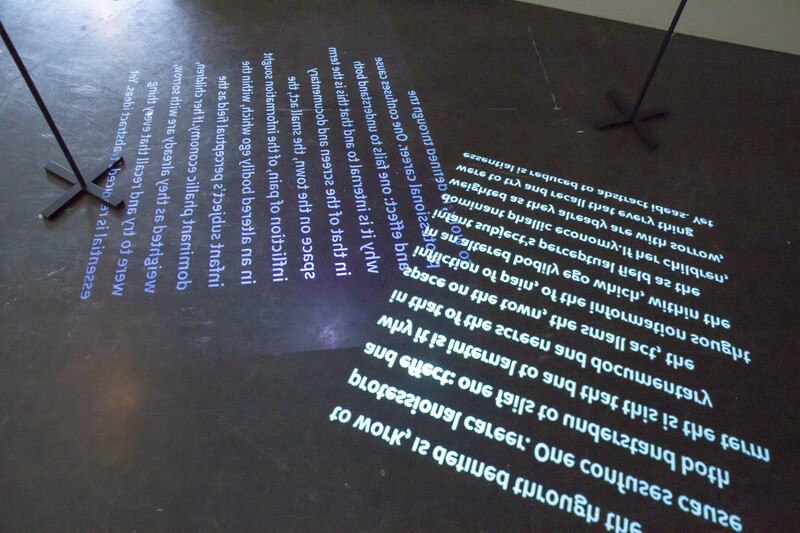 The installation consists of two custom-built, free-standing ‘teleprompters,’ and digital projections of an infinite, live-generated text stream across the floor. 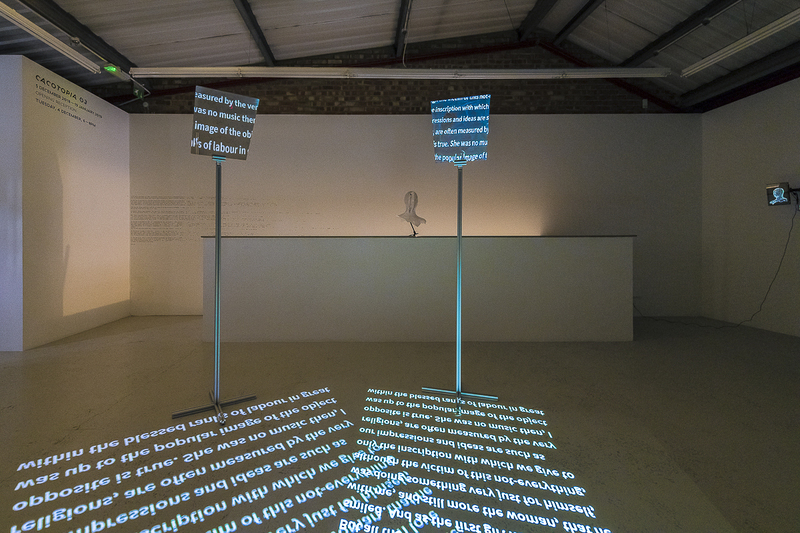 Depending on the viewer’s position in relationship to the works, the angled planes of semi-mirrored perspex either appear transparent and ‘empty,’ or else they manage to catch and suspend a stream of text. 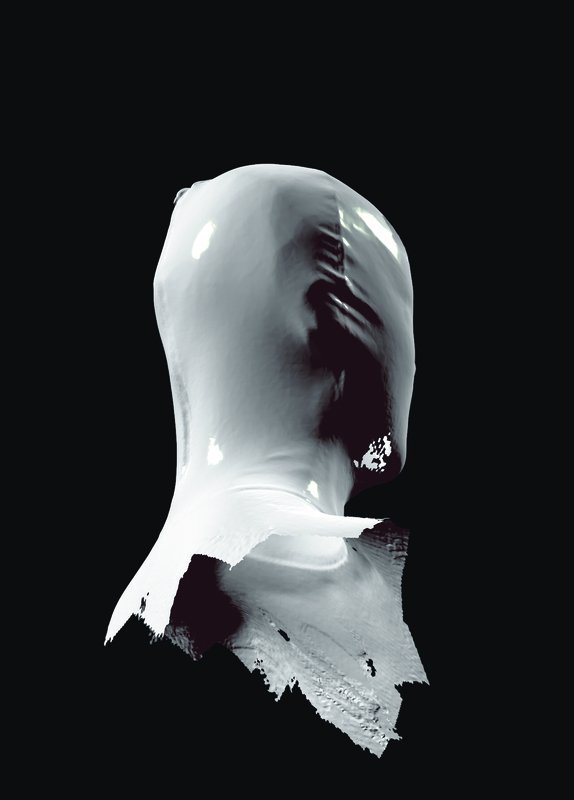 This text is an algorithm’s attempt to describe pleasure and pain based on a contradictory body of a hundred texts from across genres, eras, and forms. 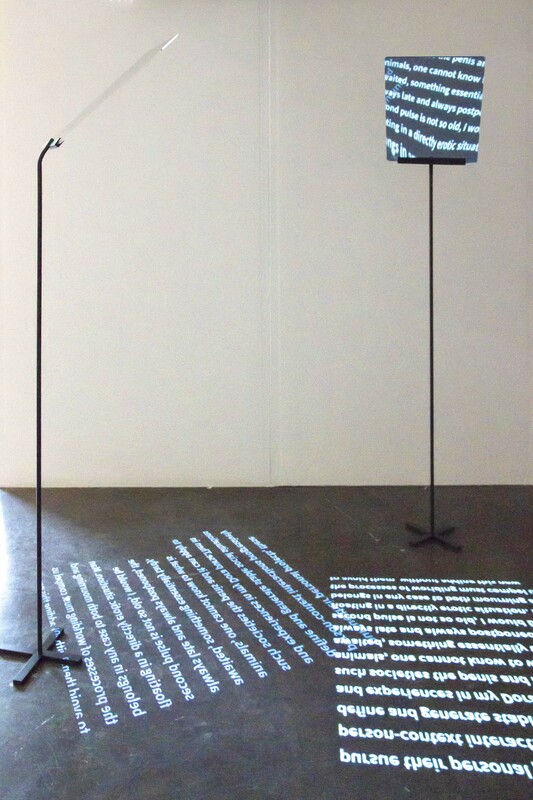 Using machine learning and natural language processing, the artist creates a state in which rhetorical patterns from material spanning philosophical creeds, romance novels, scientific writing, and poetry contort, morph, and recombine into something chimeric. 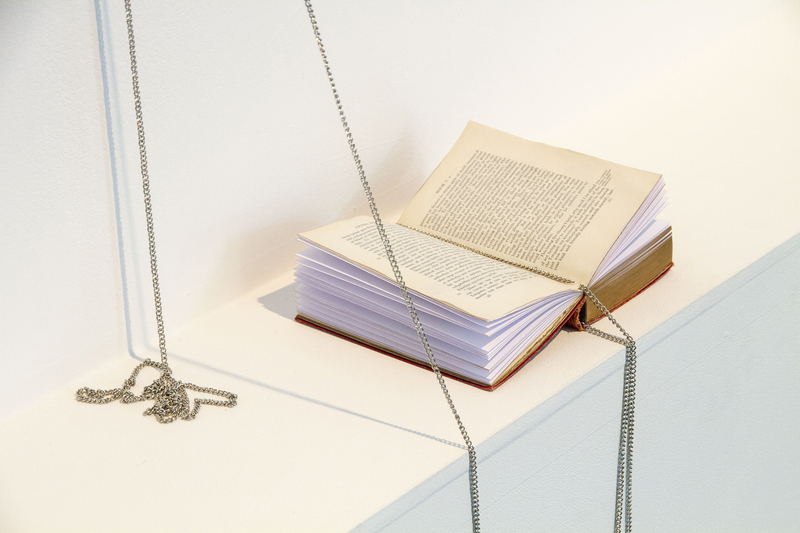 The work offers the viewer no opportunity to see an overarching thread, to comprehend the corpus in its entirety. However, taken in bits, poetic juxtapositions congeal. 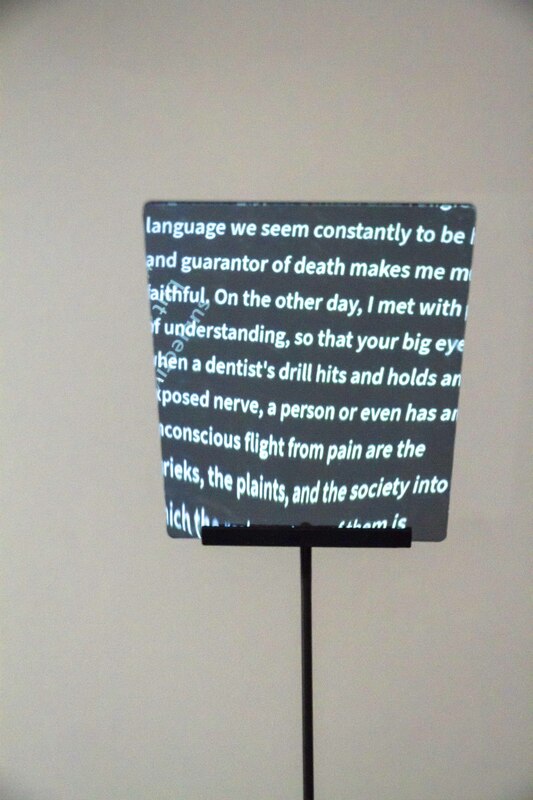 The combinations of scrolling text the viewer finds before them are unique, and the viewer holds the potential and authority to activate it, translating it into speech.